A recent Facebook post I noticed by a veteran industry person lamented an "audiophile" who requested "anything contemporary, like Steely Dan?" In fairness, I expect that a big part of the complaint was a reaction to the idea that Steely Dan, a band founded nearly a half century ago, qualifies as contemporary. 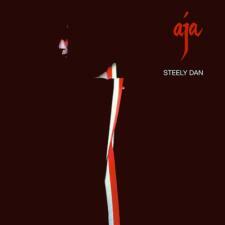 I'm sure that many industry people see Steely Dan as played out from a demo standpoint. Worse, in my opinion, is a prevailing view that Steely Dan is no more than insipid, if well-recorded, pap suitable only for (lamentable) demos but not to be respected on a deeper level. 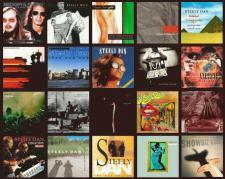 Sure, I get it, there's a lot more music to consider when evaluating music system performance than Steely Dan, the Eagles, Dire Straits, Diana Krall, Norah Jones and other audiophile-approved recordings, but Steely Dan deserves their lofty status as one of the great innovators in rock music, and I think that fact has become underappreciated and even denied in some circles. Ironically, their obsessiveness about the sound quality of their recordings has come to be held against them by some in the audio industry as if that's the only point of the music. It's become acceptable in the industry to denigrate this band, and with Walter Becker's recent passing that bothers me even more than usual. 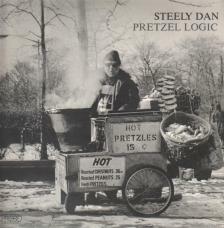 Put in context, Steely Dan's music was a brilliant extension of the jazz generation that gave us bebop and cool jazz in the 1950s, and the 1960s rock generation that turned pop music into art, including most obviously The Beatles, but also The Doors, the Velvet Underground and others. 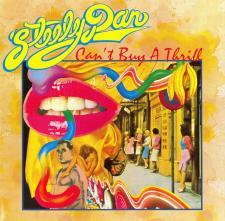 Steely Dan elevated instrumental virtuosity in the rock context and wrote lyrics that were inventive and provocative, if often inscrutable or nearly so. They got fans thinking on many levels, which was the point. And they made great sounding records that turned on a lot of people to the joy of owning a better stereo. I have never had a problem with that! Their first album, Can't Buy A Thrill, released in 1972, was as good a debut as any artist ever in the history of rock music and should be in every rock fan's music collection. They followed this with a series of truly excellent albums, Countdown to Ecstasy (1973), Pretzel Logic (1974), Katy Lied (1975), The Royal Scam (1976) and Aja (1977); a remarkable creative run in such a short span of time. Their last recording from this heyday was Gaucho (1980), after which it would be 20 years before the next release. If I were leading a demo at RMAF and anticipated the usual Steely Dan requests but wanted to avoid looking glum at the umpteenth playing of Josie, or to put it in a better light, wanted to impress guests that I understood their love of this music yet wanted to surprise them with something "new", I'd have played Walter Becker's last recording, Circus Monkey, which I suspect many people have not heard. I'd have spoken about his influence on, yes, contemporary music and how lucky we are to have his recordings. Then I'd play Upside Looking Down. It's a beautiful song and it's beautifully recorded. I think people would have been delighted and perhaps would consider buying what I was selling...and that's the point of such shows, isn't it?